I’m in love with electric bikes. They’re cheap, quick, cost nothing to run, and get me everywhere I need to go in the city. In Shenzhen I can drive it year-round and an electric bike is truly king of the road here – I can drive literally anywhere I want: from sidewalks to highways. Lately a few things have conspired to take my passion to the next level. 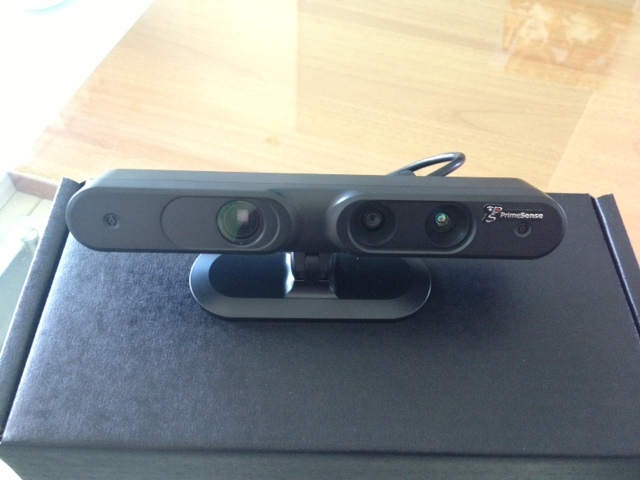 First, I got a 3D scanner and software combo that works really well. The Primesense Carmine 1.09 combined with Skanect makes beautiful, watertight meshes and is ridiculously easy to use. Whatever magic smart beans they’re eating, its working. Mad props to the people at both those companies. 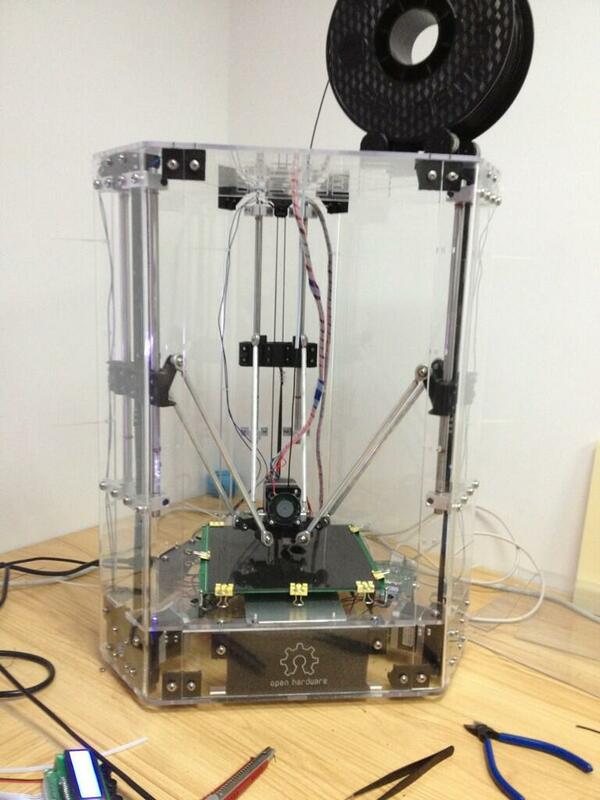 Second, my buddy Nick is building awesome delta bots that are gorgeous to watch as well as produce amazing prints. I was bringing a 3D printer back to the office one day when I basically got mobbed by inquisitive people on the streets asking what it was. Turns out I can actually decently describe a 3D printer in Mandarin. Who knew? Third, I saw a bunch of people at MakerFaire carrying around 3D printers and printing on the go. This is awesome and it looked really fun. I wanted in. These experiences, combined with my desire to practice more Mandarin in a fun way came together into a project I’m calling Scan Trike. The basic idea is to take an electric trike + 3D printers + 3D scanners and turn it into a mobile scanning/printing experience. 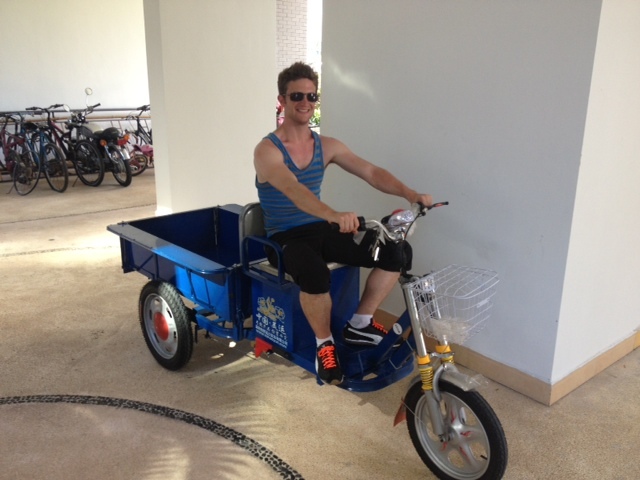 This fits perfectly with the trike culture – these things are basically half pickup truck half mobile storefront. 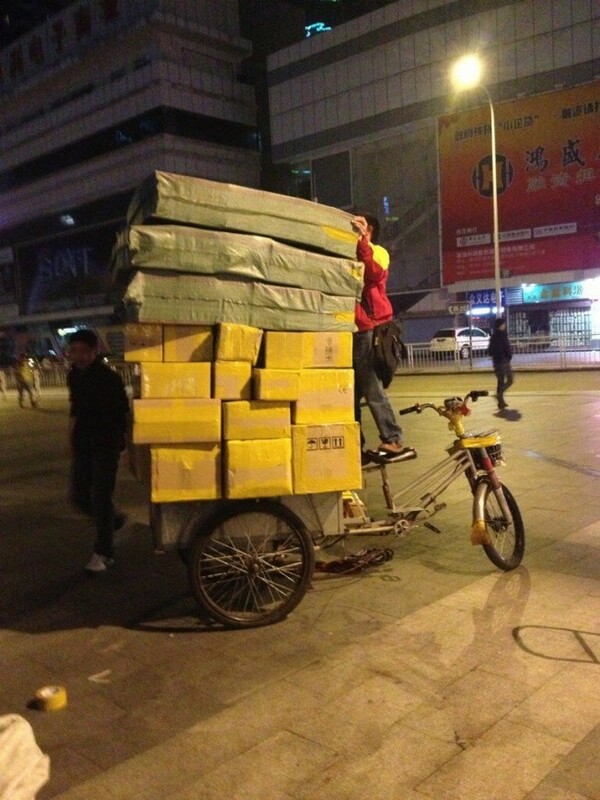 If you’ve ever been to China you’ve seen these trikes everywhere – from ladies selling fruit out of the back of a trike to a dude with a mountain of cardboard impossibly perched on top. They’re ubiquitous and multipurpose and just generally awesome. Once we get this whole shebang put together, we’ll head out to a public area and start scanning people. Hopefully we’ll be able to crank out 3D prints of their heads right then and there, otherwise we’ll use BotQueue to queue up bigger prints that we can mail or hand deliver later. 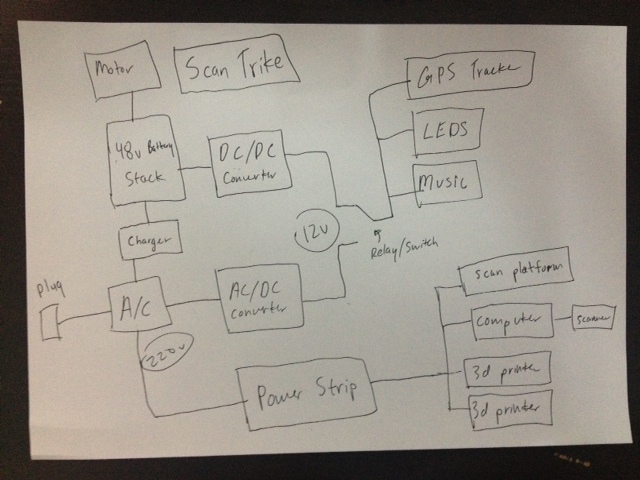 I started work on the schematics for the trike – it obviously needs to support some 3D printers, but it also needs some pizazz in the form of leds, dubstep, and possibly lasers. It should be pretty easy to hook all of this up – the trike has a huge compartment for holding the batteries and all this other stuff, and I’ve added LEDs + a sound system to my other bike already. I’ll try to post pics and videos of the build process and eventual running of the show if anyone is interested.